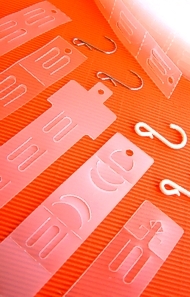 Manufacturing high quality low cost self adhesive hooks, made from 350 micron with a strong adhesive applied. 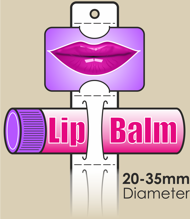 Our adhesive display hooks are supplied on rolls for a quick application to your product. 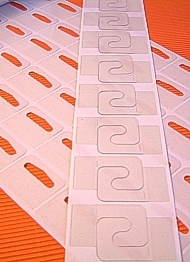 A-PET is non-toxic, 100% recyclable and environmentally friendly.